Silver drop sweater is Crochet -A-Long pattern by Ana D http://www.ana-d.com/home/silver-drop-top-cal. 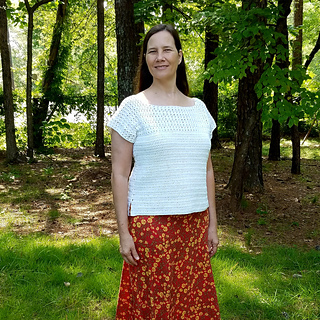 Silver drop top is beautiful and easy to make summer sweater. The construction is simply and the special stitch gives interesting texture. 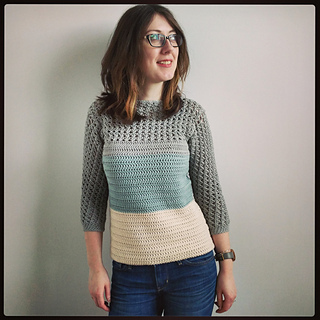 You can make 6 different sweater with this pattern - 3 with short sleeves and 3 with long sleeves. Please check the pictures. Week 4: 2-8 July - sleeves and finishing. After each period I’ll giveaway many prizes (yarn, hooks, patterns) !!! The Final Big Prize is 3 skeins The Cotton yarn by We Are Knitters https://www.weareknitters.com/grey-cotton in color of winners choice and 3 Ana D patterns of winners choice!! !